Today we had Sarah from New Zealand give us the latest updates on treating the temporomandibular joint. She described how the joint contains a fibrocartilaginous disc and if has no nerve supply in its intermediate section. It is this section that is compressed in the joint normally. When the joint is pulled out of alignment the anterior or posterior sections of the disc can be compressed and there structures have nerve supplies and create pain. 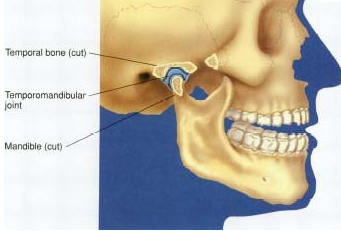 The TMJ can be effected by Bruxism (clenching jaw), trauma, postural issues, and structural changes. The cause of the pain can involve the upper cervical spine as these three segments communicate with Trigeminocervical nucleus and can produce pain anywhere innervated by the trigeninal nerve (Supplies skin sensation to the face and head). In the above conditions is important to address the muscle imbalances around the TMJ and his can be treated with trigger point release and muslce releasing inside the mouth. The neck posure can be improved with rehabilitation. Acupuncture will be effective in treating sinus pain and headaches. In trauma mobilisaiton of the TMJ will include traction and Mobilisation with movement. The results have been great and symptoms can be changed in 2 weeks. In New Zealand botox is used to release muscles in acute pain before treatment starts. I am going to meet a chiropractor on the weekend to find out what chiropractors do in treating TMJ pain.